One out of 8 people who received a hip replacement with the ASR XL Acetabular System or the ASR Hip Resurfacing System supplied by DePuy Orthopaedics, Inc. may suffer implant failure and require a second surgery. What to do if you are a victim of hip implant recall? Contact your physician immediately to determine if your hip replacement device may put you at risk for medical complications and require additional surgery.Seek the advice of an experienced and reputable attorney for a free consultation to determine if you have a valid damage claim. DO NOT under any circumstances speak to any representative of DePuy Orthopaedics, Inc. or Johnson & Johnson or sign any documents. Anything you say or any documents that you sign may endanger your chances of receiving damages, and be used against you as evidence in court. Should you decide to work with the legal professionals from the Bernard Law Group, our soul mission will be to ensure that your rights are protected, that you receive the best medical care possible, and that you are justly compensated for any loss of income, and pain and suffering that you endure. 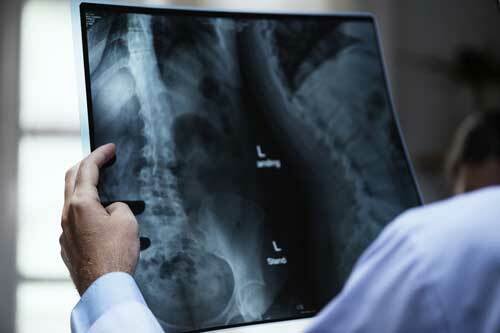 A faulty hip replacement may cause extreme pain and medical complications. The defective ASR device has been found to loosen or to break apart in the hip resulting in bone fractures, infection, hip sensitivity, and joint dislocation. DePuy Orthopaedics, Inc., owned by Johnson & Johnson, has issued a product recall on its ASR XL Acetabular and ASR Hip Resurfacing systems. The National Joint Registry (NJR) recently released a report that 12-13% of DePuy Orthopedics’ hip replacement patients will need a second hip replacement surgery (called revision surgery). Normal hip replacement implants last for approximately 15 years, but in some cases the ASR System breaks apart within 5 years of implantation. Hip replacement surgery is an intensive medical treatment. The operation can require 2-4 days of hospitalization, and sometimes months of physical therapy rehabilitation. The Bernard Law Group is conducting a thorough, independent investigation into medical product negligence claims. DePuy Orthopaedics’ ASR System hip implants may have violated health safety standards and put patients at risk for further medical complications. Our expert attorneys plan to file lawsuits on behalf of recall victims nationwide. The team of aggressive and experienced legal professionals at the Bernard Law Group is actively reaching out to patients who received these devices. If you or a loved one have suffered because of these defective devices, contact the attorneys at The Bernard Law Group to determine the validity of your claim.